Patio Blue Stripe rugs are as much at home indoors as they are out. What a choice, use inside or out. They do say that the garden is an area that is neglected (unless its summer), so why not create that outdoor living area with one of our patio rugs? Hardy enough to stand the harshest of winters (lets be honest - we seem to be seeing more and more of these), there's no need to worry about leaving it outside until warmer skies are back on the scene. Inside eh? 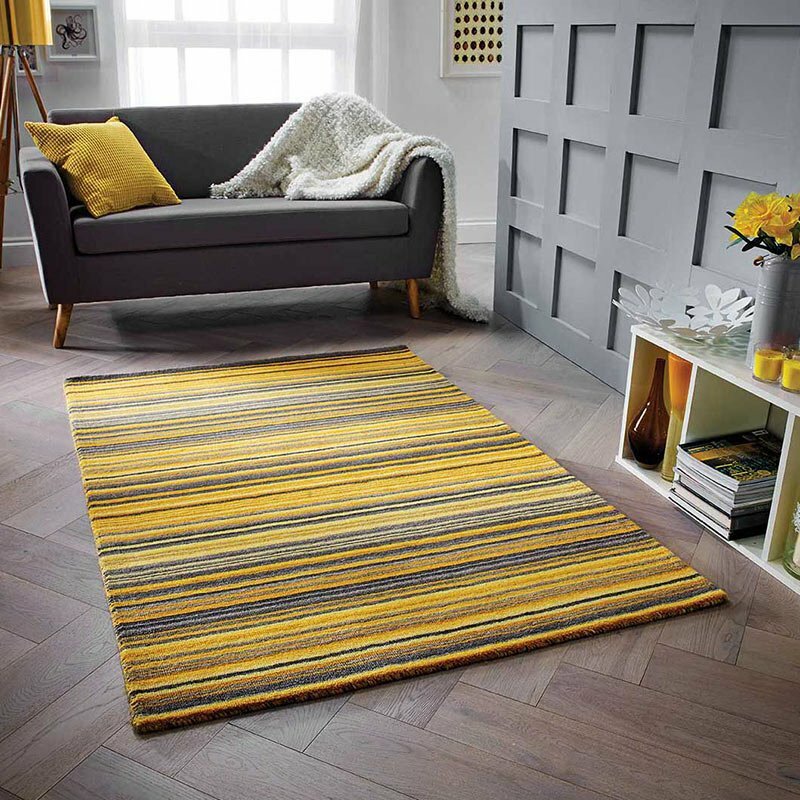 Ideal for conservatories, kitchens and dining areas Patio is a flat weave rug made from durable polypropylene. It's easy to clean and available in 4 friendly sizes, including a large 200x290cm size.